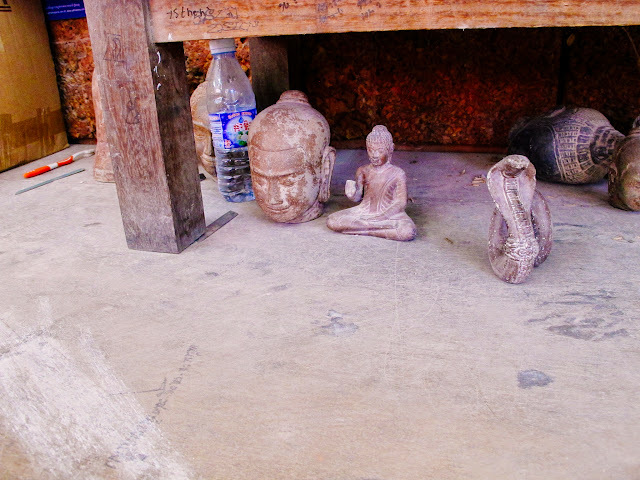 August 10, 2014. 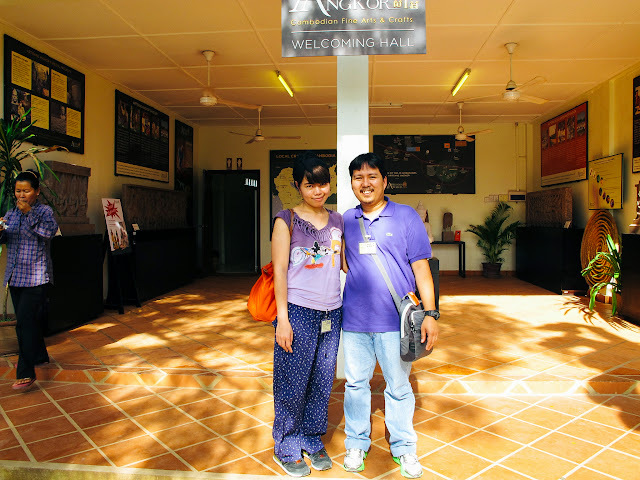 Cambodia Adventure with My husband, Marvin! 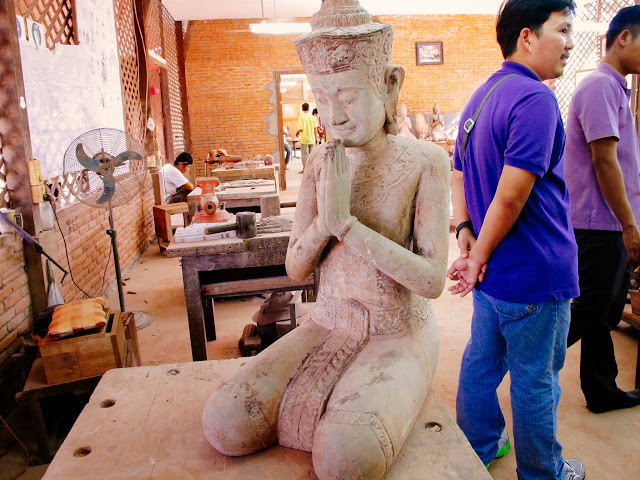 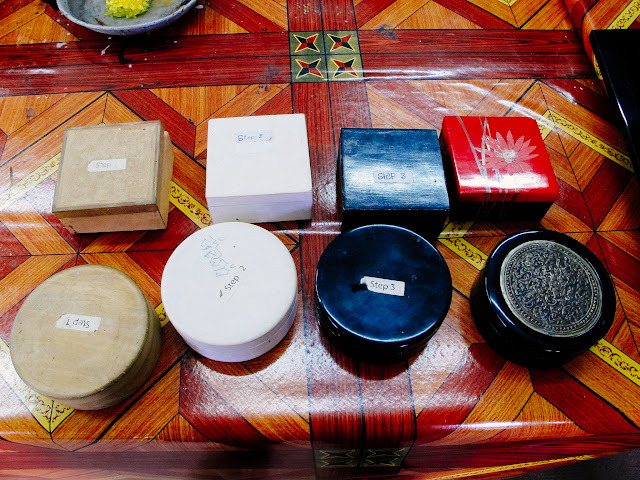 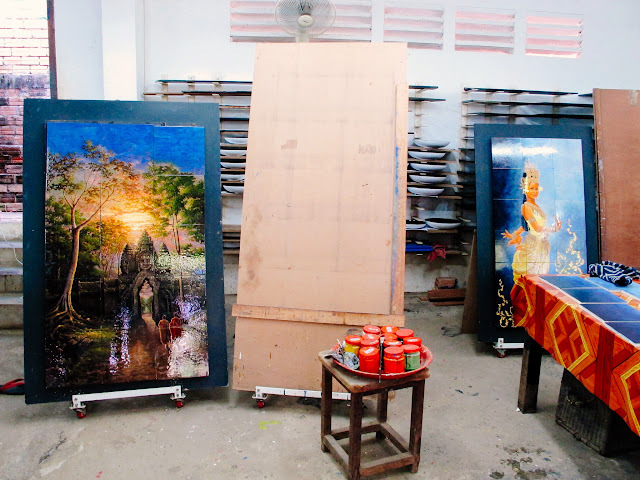 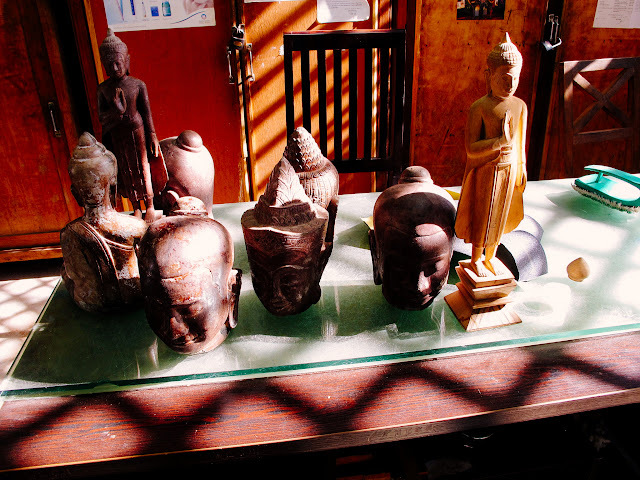 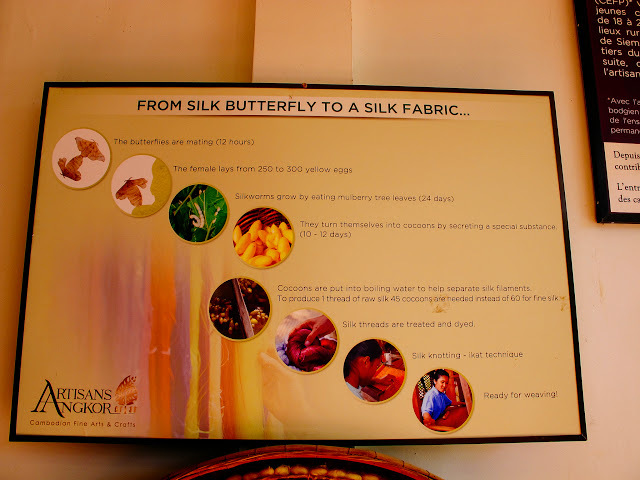 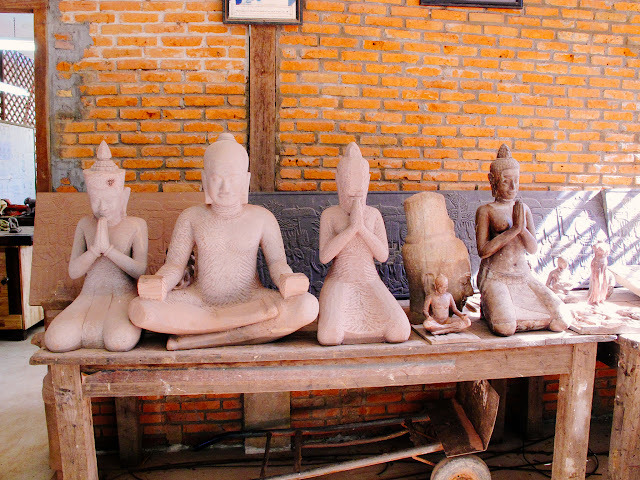 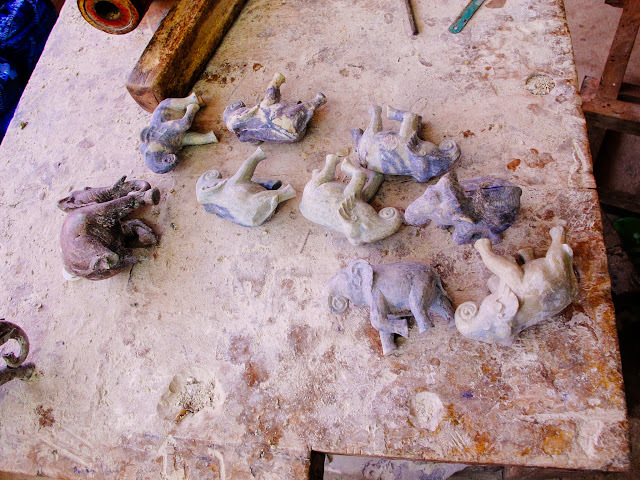 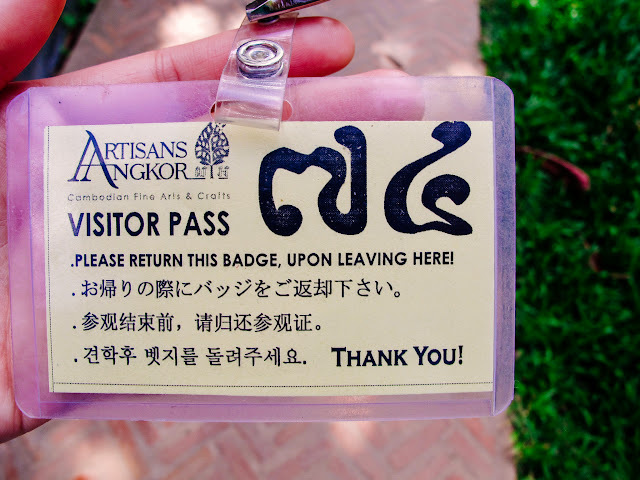 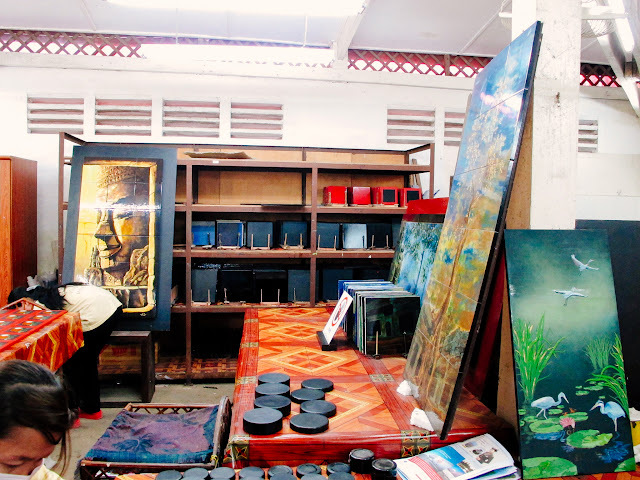 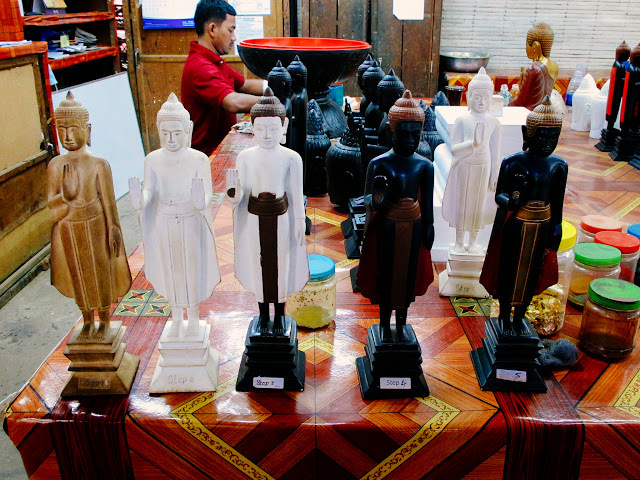 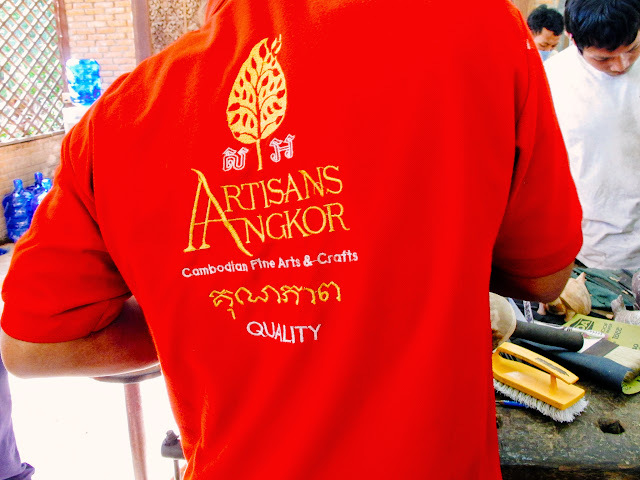 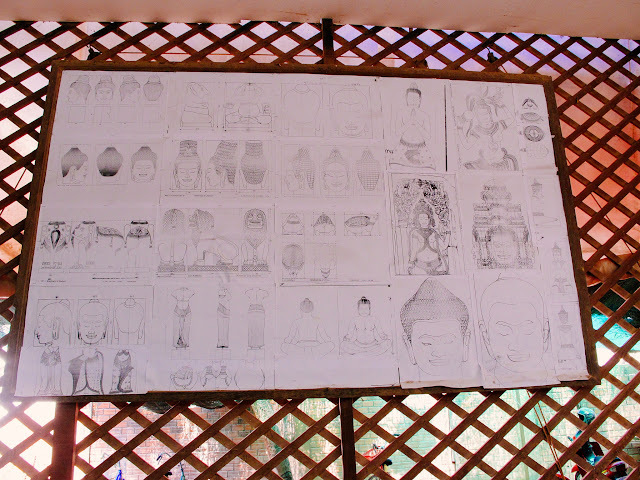 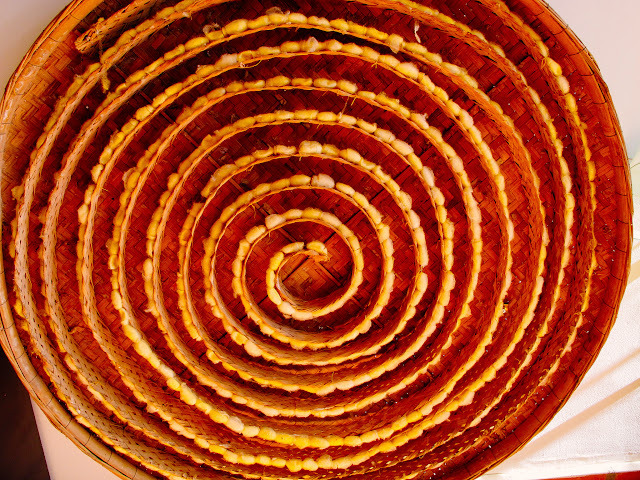 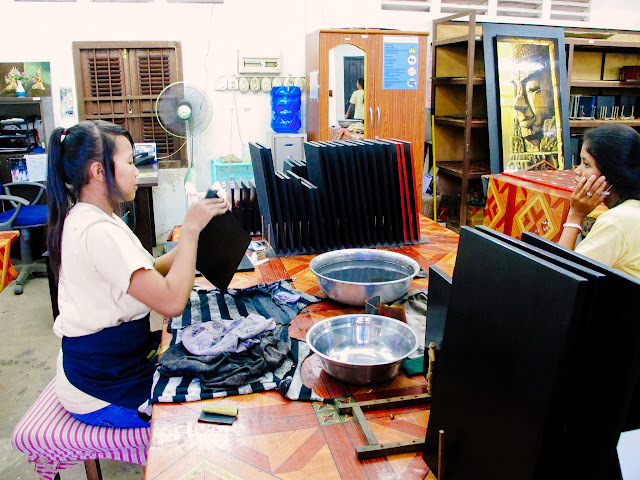 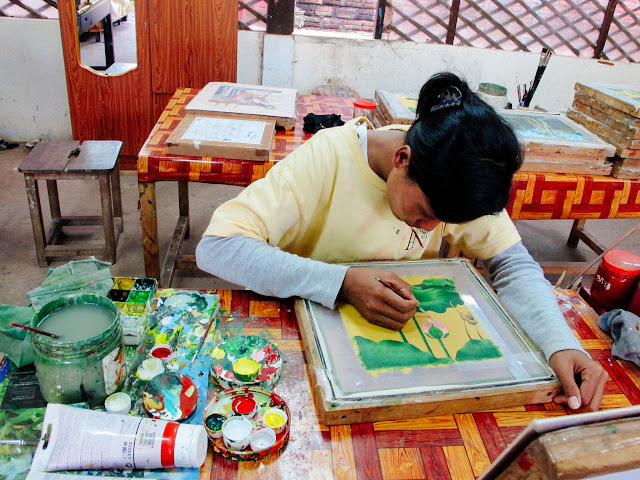 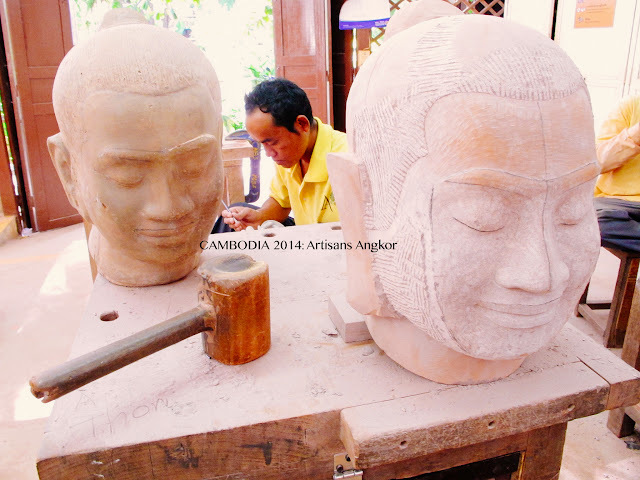 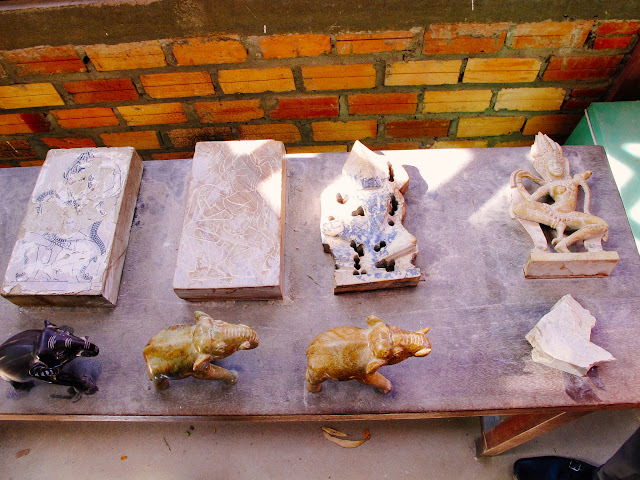 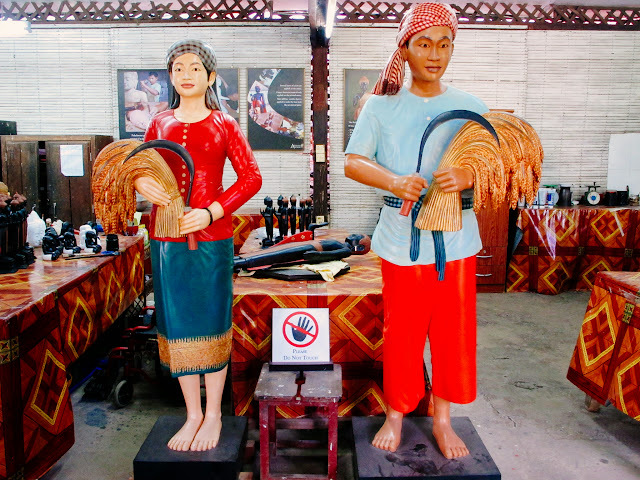 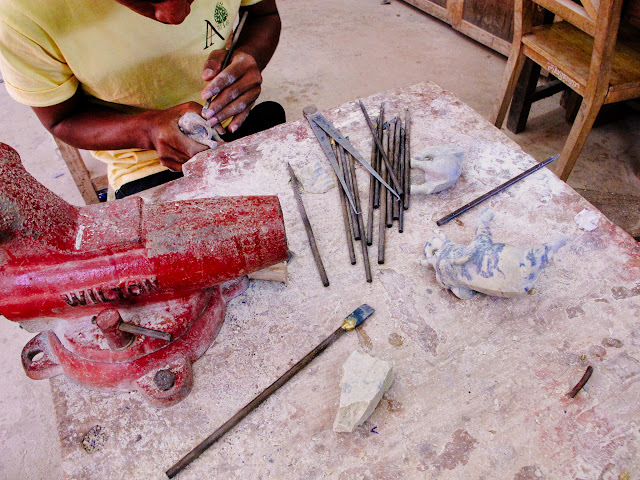 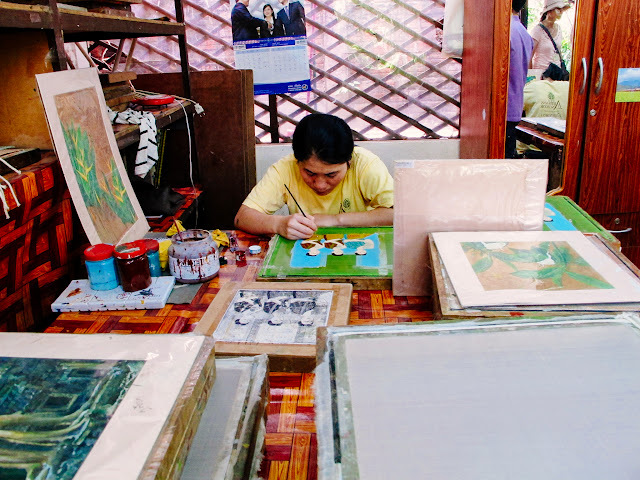 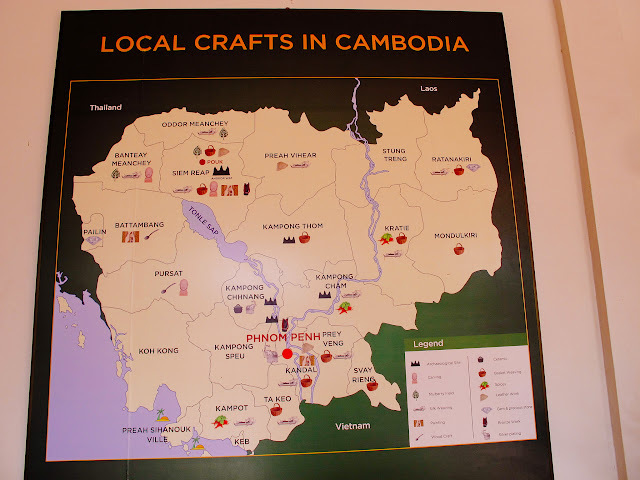 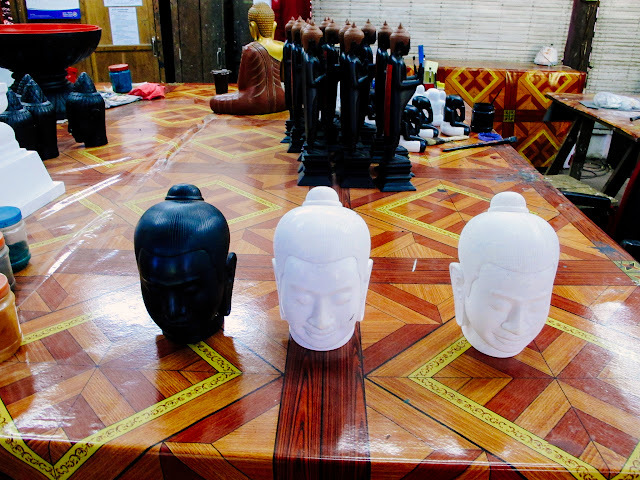 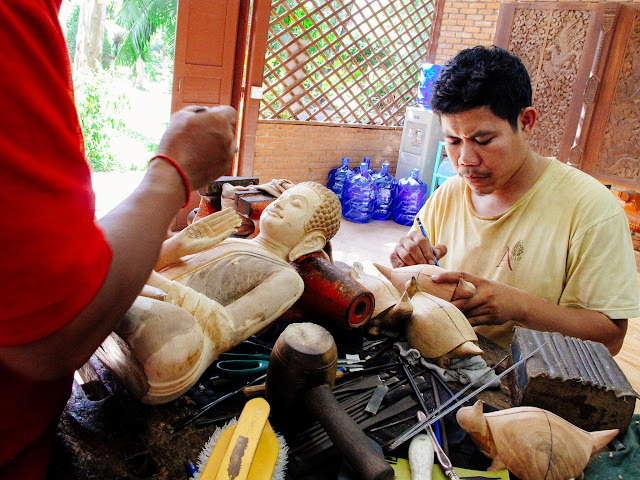 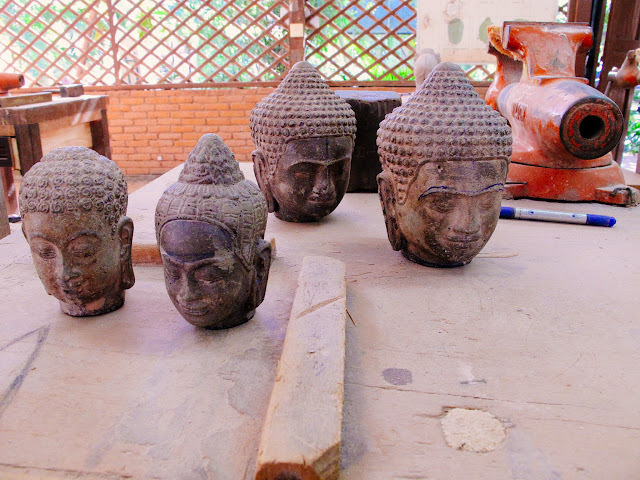 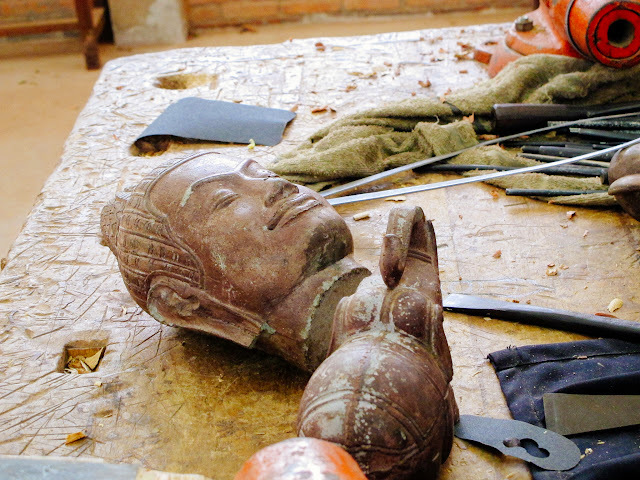 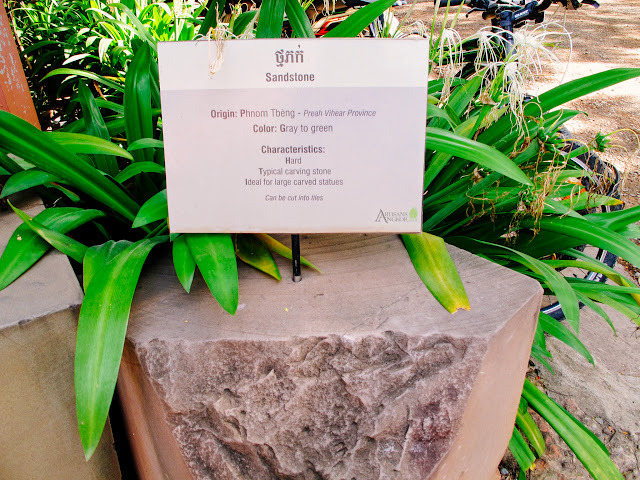 <3 Day 1: We went to Artisans d'Angkor a handicraft center for the wood and stone carving. 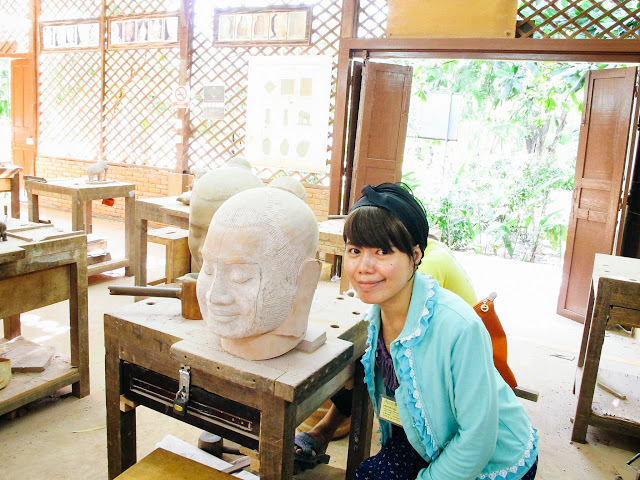 This is a good place to learn about the secrets of stone and wood carving, lacquering, silver plating, and silk painting. 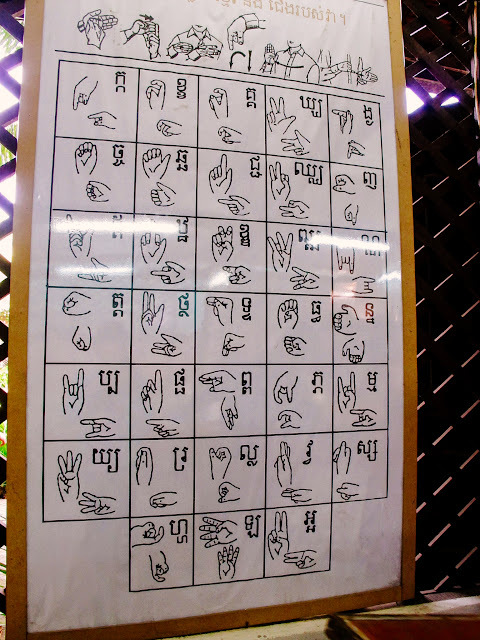 A B C D HAND signs! 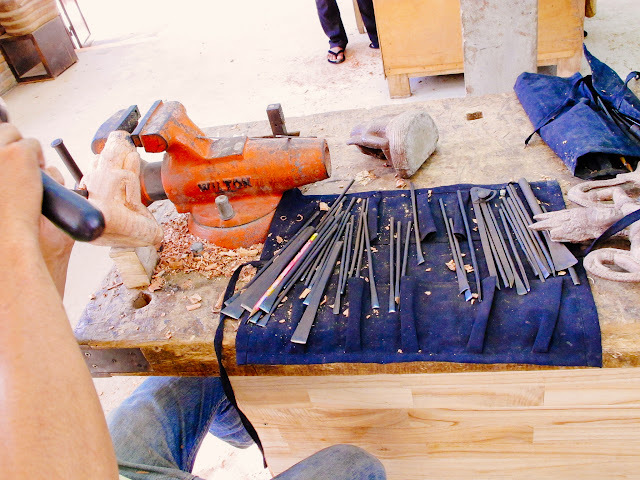 I still know how to do it. 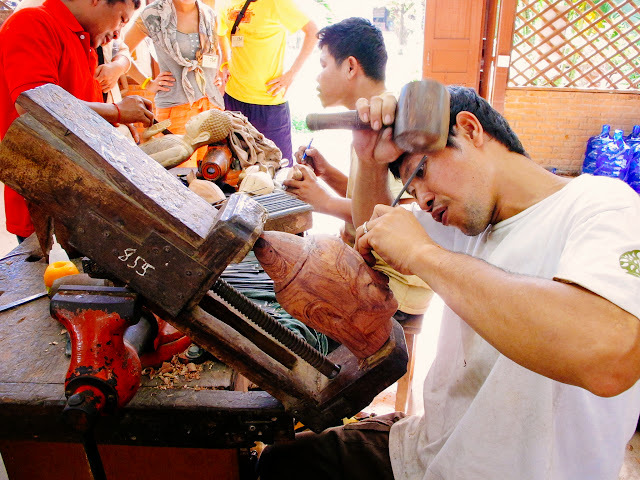 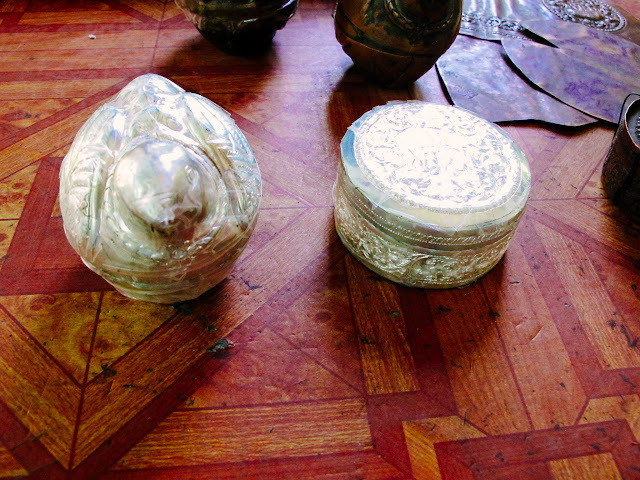 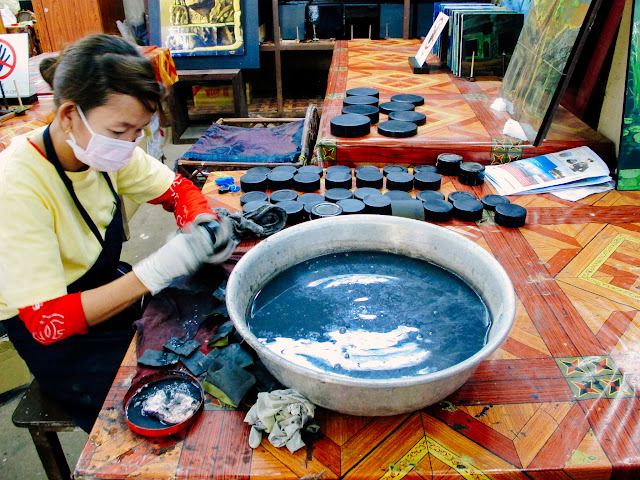 Polychrome process starts with carving of a piece of rubber tree wood. 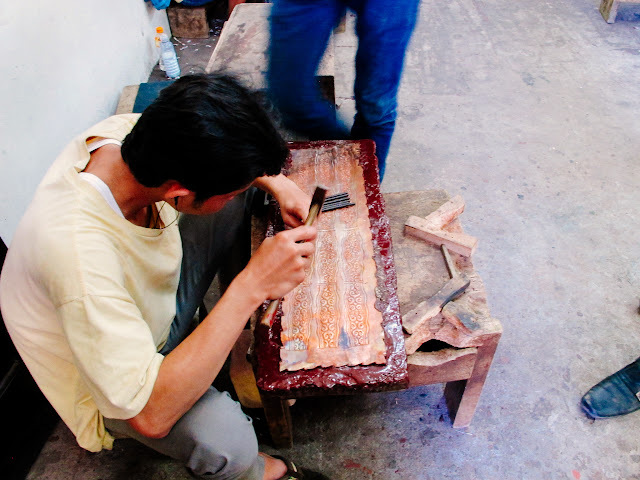 7 layers of plastering are necessary to smooth the wood surface and give it a velvety look. 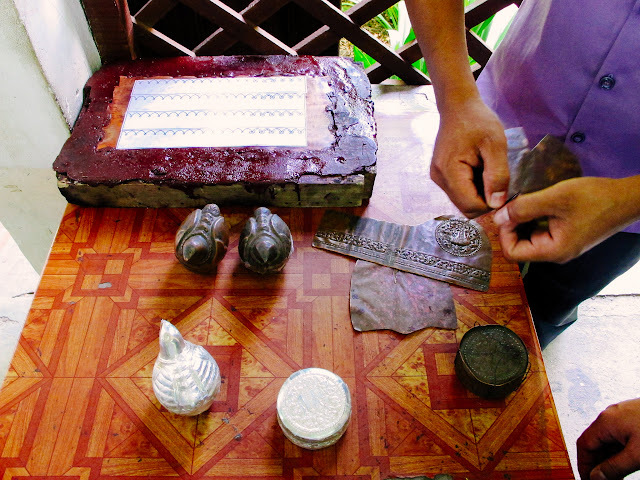 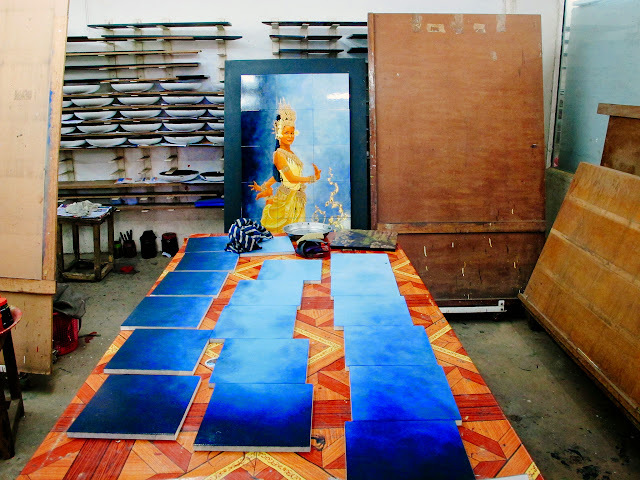 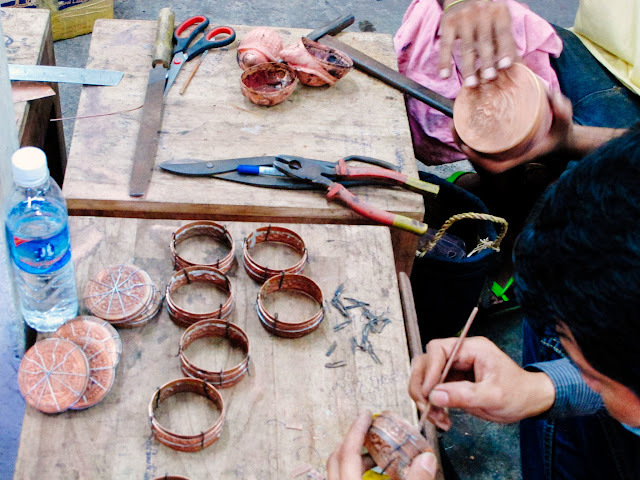 When necessary, artisans engrave the piece to make the embossed patterns look more visible. 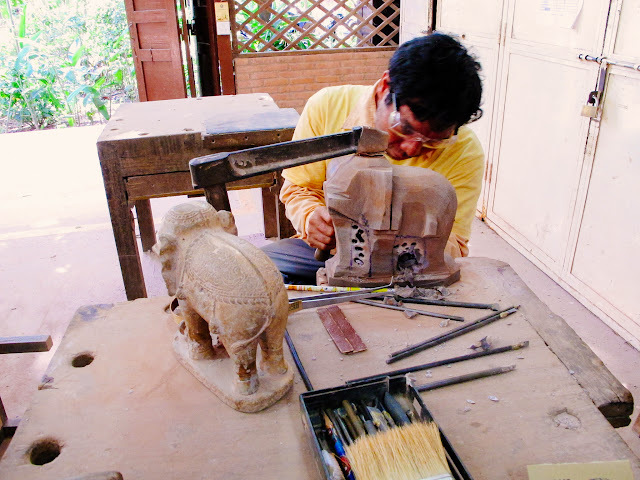 according to our guide, elephant is a lucky charm for Khmer people. 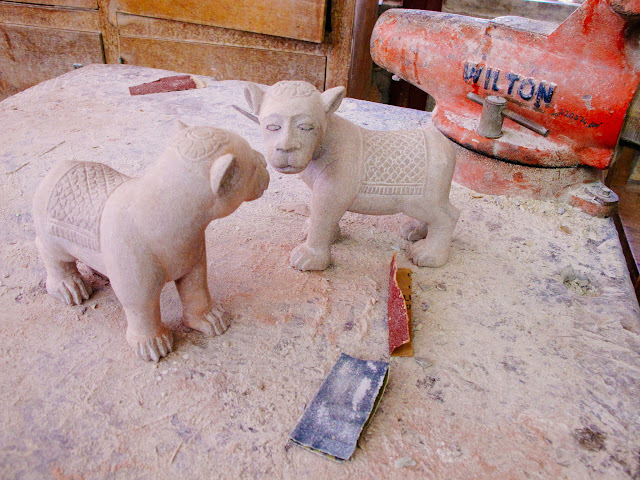 not yet finished but look at them still nice! 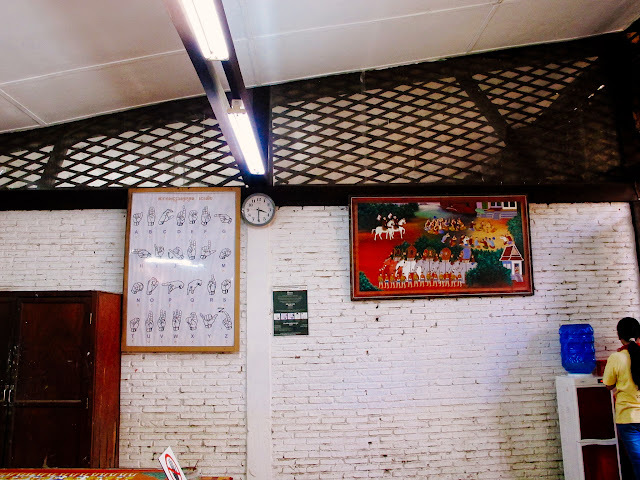 Next post is our 2nd stop.